As a small business owner, you make sure to cross all your T’s and dot all your I’s. Logo? Check. Clear brand message? Double Check. Highly optimized website for conversions? Triple Check. Email list? Check. 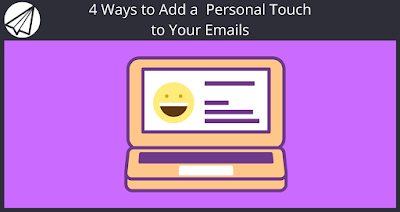 So what you need to do is add personal touch to your emails. Everything is in place to help you drive traffic to your site and ultimately convert visitors into customers. But, there’s a snag. You’ve spent the time building your list and growing your following. Unfortunately your open rate is low and your conversions are non-existent. It may be because you’re not adding that personal touch to your website or your emails. Up to 94% of businesses say personalization is the key to future success, but only 5% of businesses are actually using it in their marketing strategy. This can have a profound effect on your bottom line and the future success of your business. 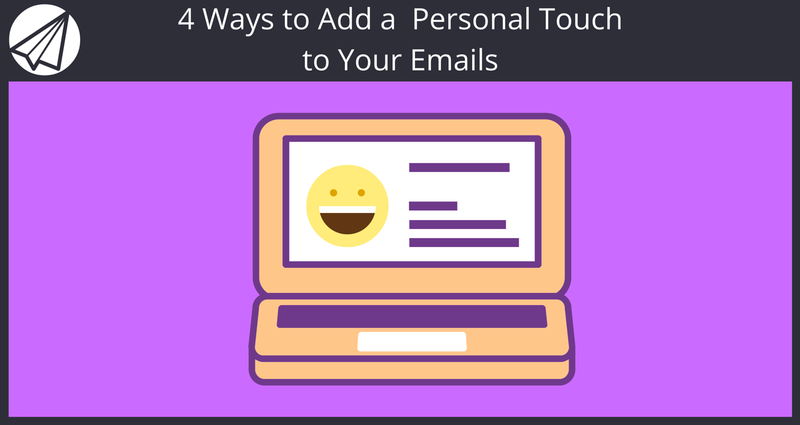 So, how do you add the personal touch to your emails without going overboard? Let’s look at four easy and highly effective ways to get personal in your email marketing strategy. Videos are gaining traction this year more than ever as a great marketing tool. The majority of marketers say that videos generate the best ROI out of all visual content. 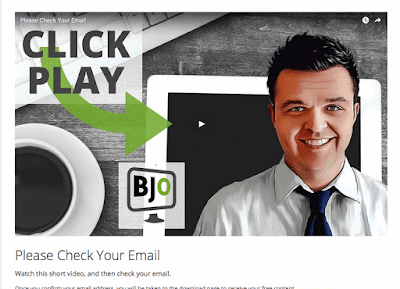 Using videos can also help build personalization into your email strategy. Having a helpful video of you explaining the process and what a person will receive when they sign up to your email list can increase retention rates and build trust a lot of faster than providing a default confirmation email. 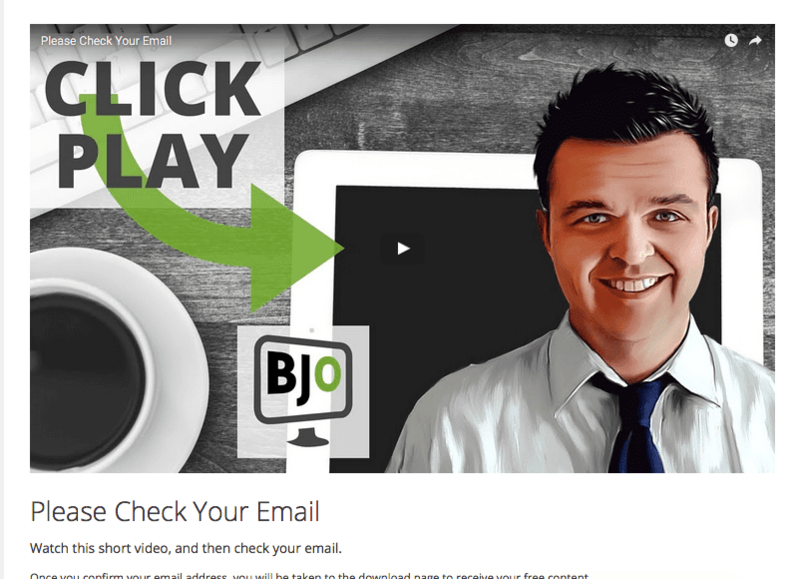 As an example, Brent Jones, freelance copywriter and email marketer, uses an opt-in confirmation video and a thank you video with links to his secret downloads when you sign up to his list. People who signed up to your list don’t just want a rehash of the week’s blog post or a pitch for your new product. They signed up to learn the expert information you offer, about your brand, and ultimately about you. They’re interested in what you have to offer, making them automatic warm leads. Build loyalty amongst your subscribers. Increase click-through rates if subscribers expect a level of personalization such as behind-the-scenes information. Create trust with your subscribers. They’ll know that you aren’t just sending them pitch after pitch, but that you are opening up and sharing personal information. Noah Kagan, an internet entrepreneur, does this in his emails. He opens up and tells stories as a way to humanize him and make him more relatable. As if he’s one of us. Segmenting your list is an excellent marketing tactic to not only increase your revenue – by as much as 141% – but can also increase your click-through rates. 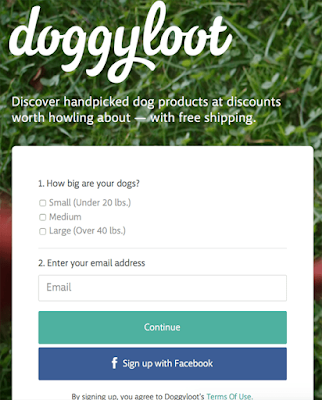 For example, DoggyLoot increased their CTR by as much as 759% by using email personalization. They tailored their email campaigns, deals, and products by having visitors tell them how big their dog is before they sign up to their list. For this business, having the knowledge of the size and breed of their subscriber’s dog is important. A coupon on large dog bones wouldn’t apply to a small dog owner, and a sale on purse carriers wouldn’t really apply to the owner of a Great Dane! By segmenting their list based on a subscriber’s type of dog, DoggyLoot can make each campaign personalized to the subscriber, increasing their overall CTR. You can also segment your subscribers based on their location. BustedTees increased their revenues by 8% simply by taking into account their subscribers’ geography. First, rather than sending all of their marketing emails at the same time, they tried sending at 10 a.m. in each subscriber’s time zone. While this helped a bit, they next turned to their analytics to determine historically what time a particular subscriber opens their email. We’re now able to send an email to each subscriber at the exact time they’re most likely to open, which is the first phase of our email conversion funnel. Sure, addressing your email with your subscriber’s first name is a typical strategy to make your emails more welcoming. 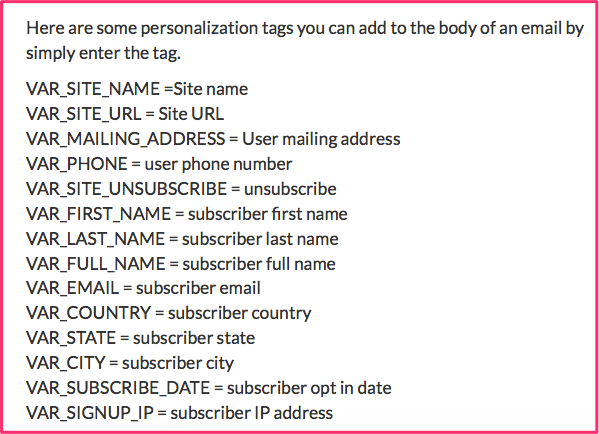 But, there are other ways to use personalization tags in your emails. For instance, using personalized subject lines have a 26% higher open rate than non-personalized emails. And it’s even better for CTRs. A HubSpot study revealed that including a real name “Jane Doe, HubSpot” rather than using the corporate-sounding “HubSpot” as the sender name generated a 0.96% CTR, as opposed to a 0.76% CTR for using the company name as the sender – and got them 131 more leads. These results should make using personalization tags in your email a no-brainer. And Sendlane makes it easy to add different kinds of personalization tags in the body of your email. This is something Neil Patel does with his subject lines, making them instantly welcoming to the subscriber. Another way to use personalization tags is in your call-to-action. According to HubSpot, CTAs that are personalized have a 42% higher view-to-submission rate than your typical non-personalized CTA. Instead of linking a plain CTA to your landing page like, Get started now, why not try a personalized CTA like, Jane, get started now? Including a business name anywhere in your sender name alerts subscribers that the email is probably a pitch or some generic email sent to the masses. Instead, making your emails come from you personally makes it just look like an email from a friend. This is what Neil Patel did above, or Melyssa Griffin of the Nectar Collective does when she sends emails to her subscribers. And one final way to extend that personal touch in your emails is to let your subscribers know you are available. Adding this personal touch in an email piques a reader’s interest and humanizes you. When Jon Morrow or Noah Kagan or Neil Patel tells you to email them back, they instantly become more approachable, helping subscribers stay loyal to them. And it works, even if it seems like a rather indirect way to market to leads. If somebody actually makes the effort to reply to your marketing emails, they’ve already prequalified themselves as an excellent lead. Sending out personalized emails helps makes what you say to your subscribers relevant. And if you want to have a strong email list full of fans, brand ambassadors, and your ideal customers, creating personalized emails should be on the top of your list. It can be as simple as creating video content to show the real you to your subscribers. Or, it can be a story you tell to connect with your readers. You can also boost engagement by segmenting your list and seeing how your subscribers connect with your brand. Finally, by using personalization tags to at least include a subscriber’s name in your email – and making sure the sender name includes the name of a real person rather than just a company – you’ll increase open rates and CTRs. And isn’t that what every business wants? Over to you – which one of these personal touches are you going to use in your next email?